Until recently, I didn't even know Can-it-Forward day existed. But I can get behind it. I mean, it's better than some of the other crazy holidays. You know, like Dryer Lint Day. Okay, I made that up. But it could exist, right? So, you'll never guess what company is celebrating this canning day, big time. Wait - you already guessed? Yeah, Ball - those people who make all the canning jars and stuff. Me, I'm getting a jump on the day. I just made a bunch of salsa using a kit that Ball sent me. It was a pretty simple kit, and geared for folks who want to make small batches of stuff. I mean, not everyone needs dozens and dozens of jars of cherry jam, right? But if you've never canned anything before, I have to warn you. Canning is addictive. When you sit back and look at the pretty jars full of lovely products that you canned yourself, you'll probably be thinking about what you can make next. You start with a couple innocent jars of salsa, and the next thing you know, you've got three kinds of pickles, five kinds of jam, and a whole shelf full of tomato products. But that's a good thing. Home-canned products are a great gift. And it's wonderful to be able to grab a jar of tomatoes in the middle of winter and know that you canned them in summer when produce was at its peak. 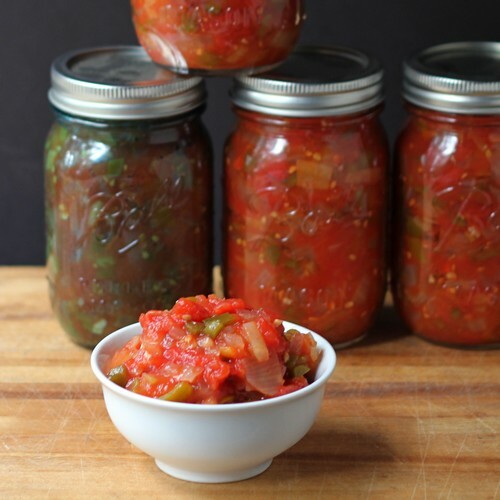 This salsa can be made more or less spicy based on the peppers you choose. It's a pretty basic recipe, but it's a good place to start. If you're wondering why one jar in the photo looks a lot more green than the others, that's because the jar is one of the special edition blue jars that Ball started selling this year. I think it looks kind of cool. Get your stockpot and jars ready for action*. Combine all the ingredients in a large stainless steel saucepan. Bring to a boil over medium-high heat, stirring constantly. Reduce the heat - but keep it boiling gently - and stir frequently. You don't want it to stick and burn. Cook until the mixture thickens a bit - about 10 minutes. No one wants a watery salsa, but you don't want it completely dry. Note: Sometimes when I want a thick sauce that's still chunky, I'll blend part of the mixture. I usually use a stick blender to blend just a little. Or put a half-cup or a cup into a blender and blend until smooth, then add this back to the salsa in the pot. 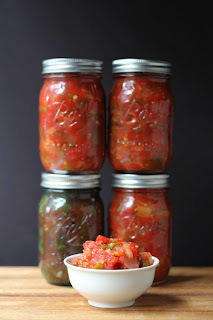 Ladle the salsa into jars, leaving 1/2 inch headspace*. Remove air bubbles, re-measure headspace. If needed, add more salsa to get to the right amount. Wipe the rim of the jar, center the lid on the jar, and screw the band on until it's fingertip-tight. You don't want to over-tighten, because air needs to leave the jar during the canning process. Process the jars in a boiling water for 20 minutes (at sea level**). Remove the stockpot lid, wait 5 minutes, then remove the jars from the pot. Let them cool, then store them. 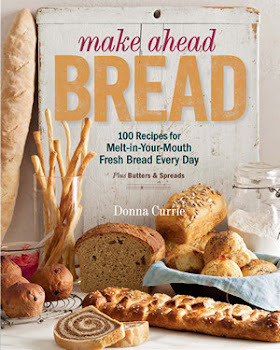 *If you're not sure about canning basics, I suggest checking out a canning book that explains all of it. Ball has a book - it's actually more of a thick magazine - with plenty of recipes along with complete instructions. I see it every year at stores that sell canning supplies. I also wrote a blog post about it here. **If you live at higher altitude, you need to process longer. I had to let mine process for 30 minutes. So here's the scoop on Can-it-Forward Day. If you live in New York, you can experience the action, live. The rest of us get a webcast and social media stuff. You want some salsa, don't you? 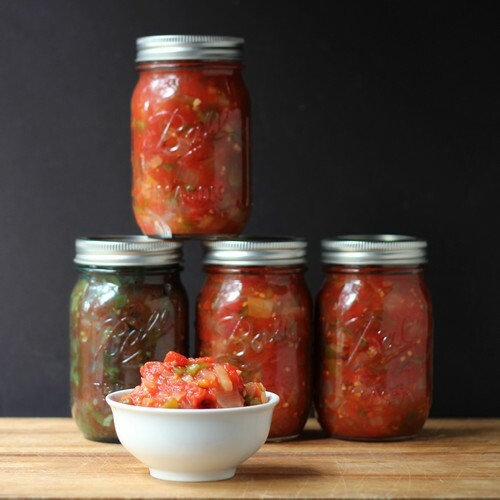 On August 17 from 10am to 2pm (eastern), there will be a free, live webcast starring Ted Allen at FreshPreserving.com and Facebook.com/BallCanning with instructions on fresh preserving, along with crafting demonstrations. Viewers can questions and post comments in real time to be answered by canning experts. The webcast will be broadcast live from the Union Square Greenmarket in Manhattan. Those in the area are welcome to come attend in person. Participants can share photos, videos, questions and comments on the Ball brand home canning Facebook page, Facebook.com/BallCanning, where fresh preservers from across the country will connect on Can-It-Forward Day. All recipes and craft ideas from the webcast segments will be available for inspiration on the Ball brand home canning Pinterest page, Pinterest.com/BallCanning. Users can also Tweet along with the hashtag #canitforward. 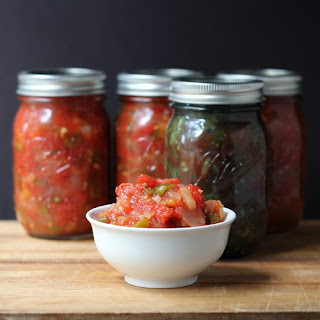 Consumers across the country are invited to host their own home canning parties on National Can-It-Forward Day to teach friends and family the joys of fresh preserving. A Getting Started guide, home canning recipes and more information is at www.FreshPreserving.com. So there you go. Go can some stuff. Uh oh. It's started. I better clear a shelf. So, have you ever canned anything? Are you going to tune into the webcast? Ball sent me a canning kit. I was not required to write a post.